Remember when Dad would bring out the tape recorder to capture the first time that you spoke. The Reel to Reel tape and cassette recorders used to record your first words are difficult to find, but this doesn’t mean that your memories should be lost forever. 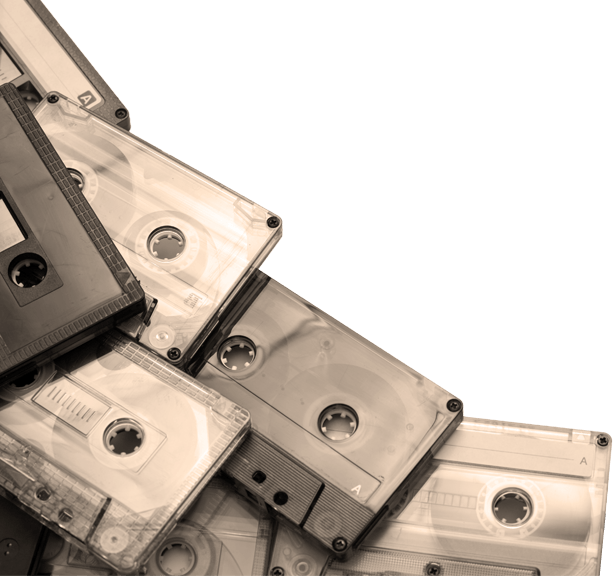 Let FamilyVideosOnDVD convert your Reel to Reel and cassette tapes to the digital format of your choice (WAV, Aiff, MP3). The longer you wait, the more your tapes will degrade over time. Whether you need a few copies of your DVD for your family or friends, or several hundred copies for your company, FamilyVideosOnDVD provides DVD duplication services to fulfill your needs – even on short notice!